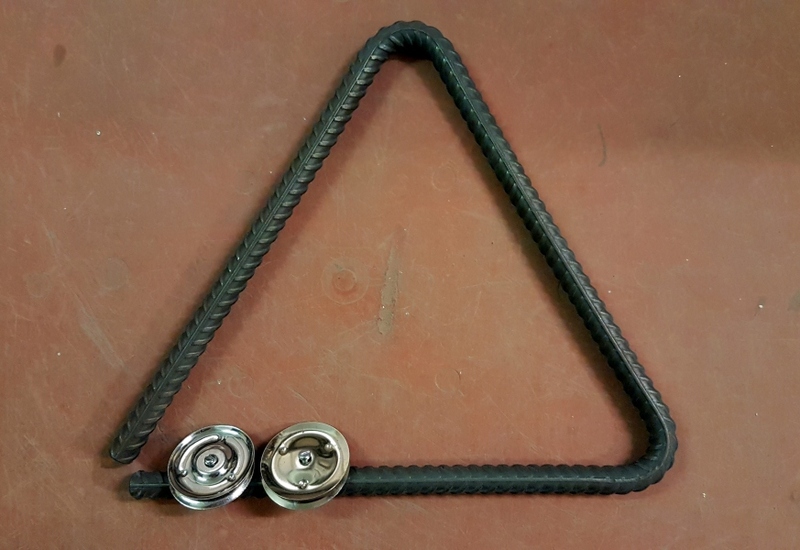 The InfiniTri triangle range. Hand hammered, equilateral shape, orchestral triangles in a proprietary Bronze alloy. Available in 3 weight ranges - light, medium and heavy and in a range of sizes per weight: 4" to 7" in light, 5" to 9" in medium and 8" to 10" in heavy. Other sizes available by special order. 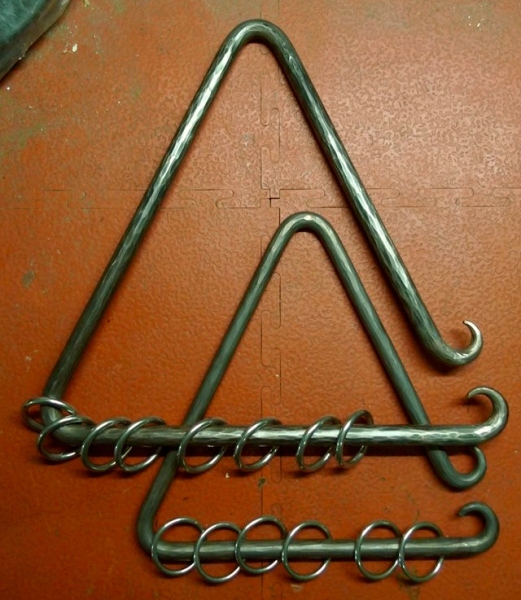 These triangles are made one at a time - individually hand-hammered, hand bent, and heat treated. Nigel Shipway Signature triangle range. 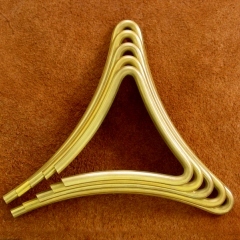 Curved sided orchestral triangles in a carefully selected brass alloy. 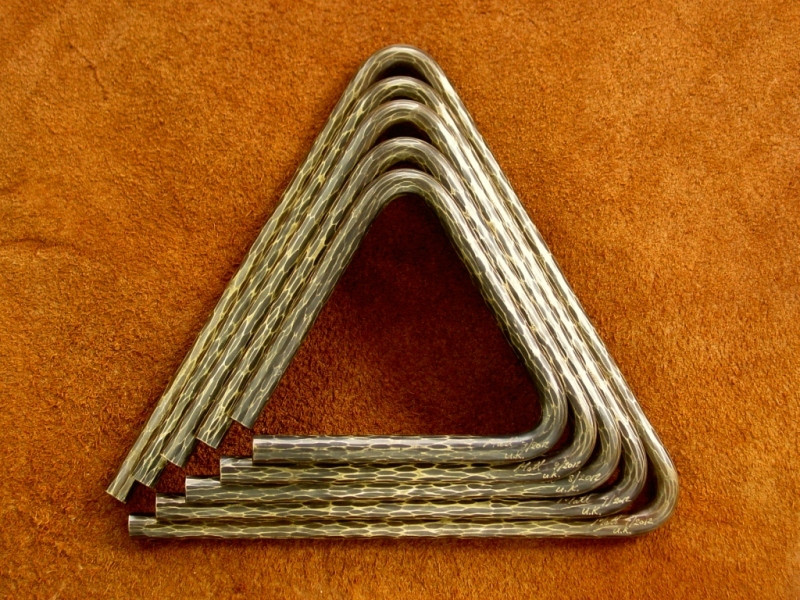 These triangles are especially good for piano and pianissimo playing (single-handed rolls in particular). The curved shape gives a much softer, complex and diffuse sound than straight sided. Available in light weight in sizes 5" to 9" and in medium weight in sizes 7" to 10". Other sizes and weights available by special order. Also available in 7" and above in High Carbon Steel for a higher pitched and harder sound. 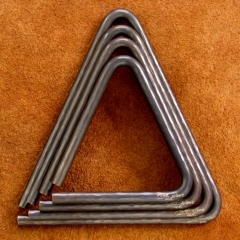 These triangles are made one at a time - individually hand curved, hand-hammered, hand bent, and heat treated. Amsterdam triangle range. 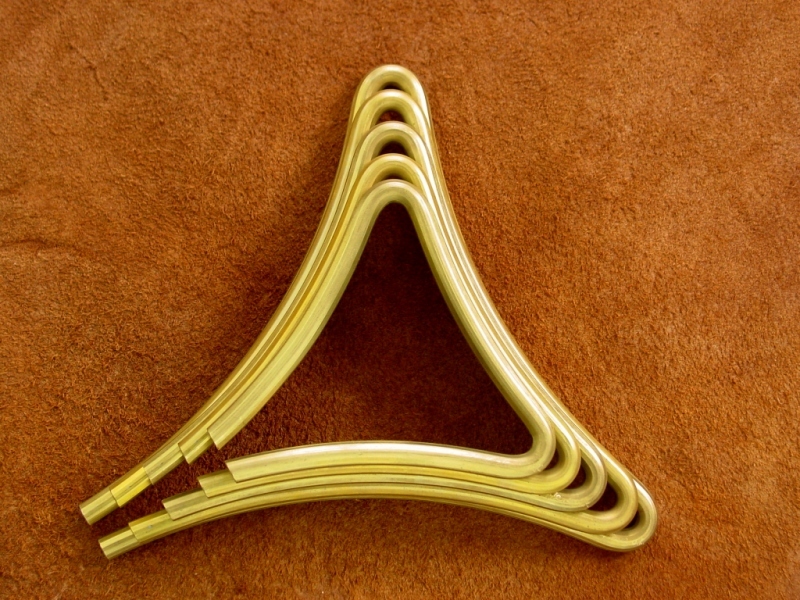 Hand hammered, isosceles shape, orchestral triangles in a proprietary Bronze alloy. 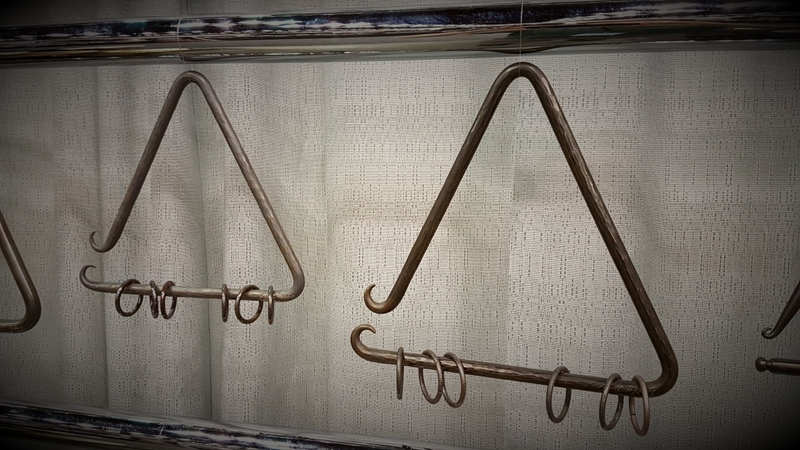 These triangles are based on the favourite antique 9" triangle owned by the Amsterdam Royal Concertgebouw Orchestra. The unequal side lengths and unequal angles make for a more complex overtone spectrum while retaining a lot of articulation. Available in medium weight in sizes 5" to 9" and in light weight in sizes 4" to 7". Other sizes and weights available by special order. 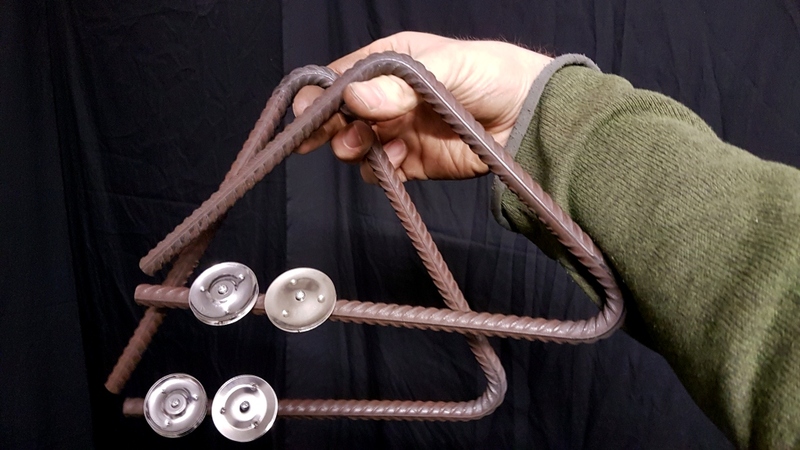 Also available in High Carbon Steel for a higher pitched and harder sound. Available in 8 inch light and 10-1/2 inch medium models. 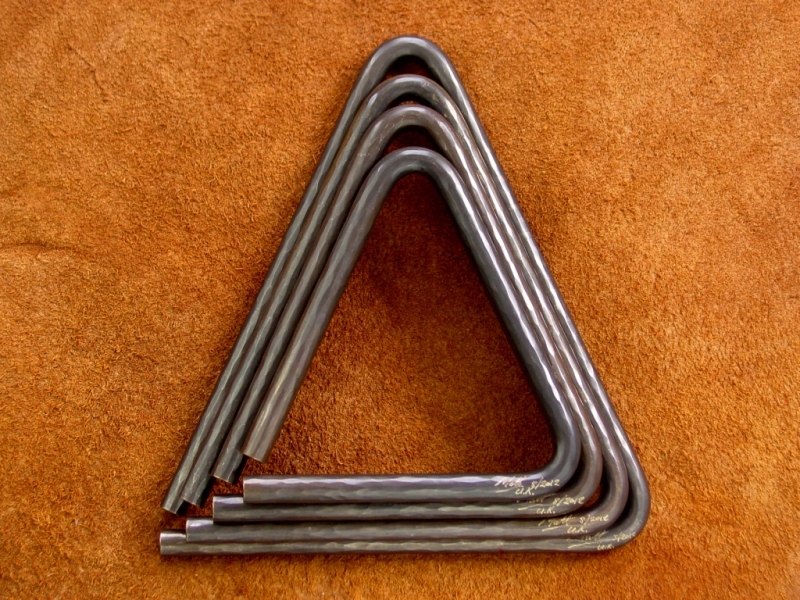 These triangles are made one at a time - individually hand-forged, hand bent, and heat treated. 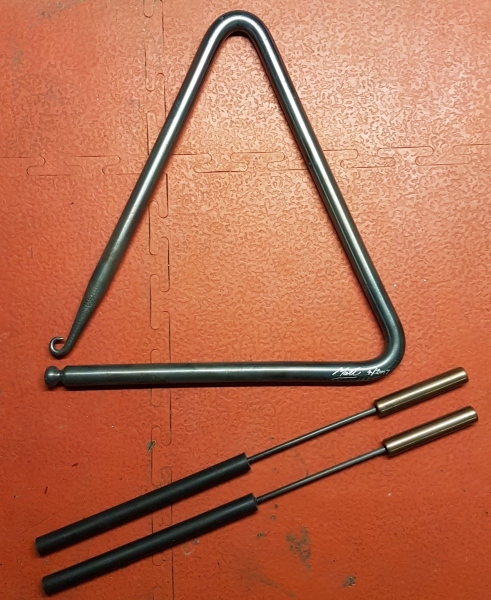 Here is my fully authentic replica of the Amsterdam Royal Concertgebouw Orchestra's favourite triangle. They are made from high carbon steel and include the button and scroll ends to the open limbs. They are precisely hardened and tempered. Available in 8 inch and 9 inch sizes only. 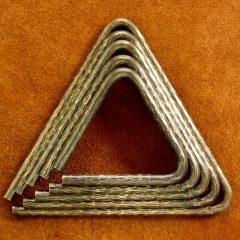 These triangles are made one at a time - individually hand bent and heat treated.